An international hiring and staffing service provider, Alliance Recruitment Agency has ventured into BPO recruitment. 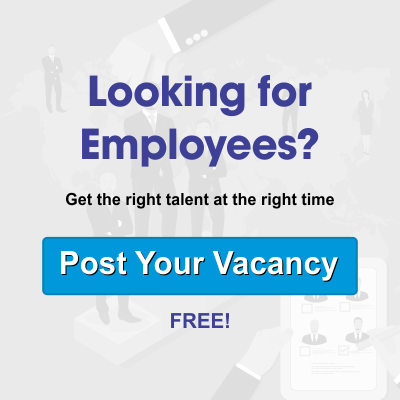 In-Depth knowledge, industry specific expertise and the trends in the field of hiring at the most affordable rate makes us the best call center recruitment service provider. BPO industry is growing by leaps and bounds. The need of the hour is efficient labor at cheap cost. Whether you have a product manufacturing company or an organization that deals in specialized service, you will have a customer care department in place. And to run that department you need experienced professionals. From where do you expect to find them? At Alliance Recruitment agency, we have trained professionals who look after the BPO recruitment department. Each of the candidate processed for your company has to undergo different levels of test (written and web cam) before we process their resume to you. We believe in offering nothing but the best. One of the industries with high attrition rate happens to be the Call Centre. Almost every year, several hundreds of employees join/leave the organization. To maintain the work-employee balance, it becomes vital that resources to this industry never dry up. As the leading call centre recruitment agency we conduct fresh interviews to provide the best of the candidates to your organization. In the case of immediate opening, we have our data bank to refer to. Our professionals maintain a list of candidates, specific to your industry. This list is constantly updated to keep all the details in check. The work of BPO recruitment consultants is never done. We offer well-researched resumes that are processed from diverse portals in addition to our own data bank. Once a resume is sorted that best fits the job description, our consultants call up the professional and arrange for an interview with your organization. Our consultants will also look at the document processing part so that your organization has nothing to worry about. We will do all the running around for you. Our experience as a well-known BPO Recruitment Agency makes us our customer’s first preference. At Alliance Recruitment Agency, we offer a start to finish hiring process. Our end to end Call centre recruitment agency solutions comprises of screening resumes, processing them to the organization, fixing the interview of short listed candidates, ensuring that the candidate has reached the venue on the scheduled date and time. This is the first phase of the hiring process. In the second phase, we follow up with your company to find out which candidates got selected – then come the chasing part. We call up the candidates to confirm the positive news and to inform them about the documents required. After the documents are submitted, we process it to the company for a background check. If you want, our professionals will do the background check on your behalf. Final the candidate joins the company and comes on board. Our USP – Why Should You Hire Us? We offer replacement candidates for free if they leave within 3 months of joining. Hassle free and smooth hiring services offered. You have the final say in selecting the client. We look after all the formalities of the hiring process. We assess the soft skills of each candidate. We deliver work on time, every time. Once we have the deadline in front of us, we make it happen. To know more about our services and to find out about the pricing give us a call. You can drop us a email and our customer care executive will get in touch with you in the next 24 hours. What are you waiting for? To get the best possible resource for your company opening, give us a call today.